When the delegation of Katsina State Governor Aminu Masari sauntered into the Hausa section of the Voice of America (VOA) in Washington DC in January 9, 2018, none of the over 15 staff he met had a premonition that the governor’s visit was pregnant with so much trouble that may lead to their unceremonious sack. The interview was conducted and the governor’s entourage was taken round the expansive office of the America’s foreign broadcasting agency. As the governor entered his car, one of the Katsina State senior officials on the entourage handed down “a brown envelope” containing $5000 to one of the VOA staff that walked them their car. Governor Masari’s spokesperson Mr Abdu Labaran, however, denied that his principal had given any money to the VOA staff during the visit. But multiple sources told, Daily Trust on Sunday that the ‘North-West governor’ referred to by the VOA was the Katsina governor. The governor’s “gift” was subsequently shared to all the Hausa Service staff on duty at that time. And everyone went back to work. Some of the beneficiaries of the gift include Sahabu Imam Aliyu, Jummai Ali, Ladan Ayawa, Ibrahim Jarmai, Abdoulaziz Adili Toro, Ibrahim Alfa Ahmed, among others. There was no any sign of trouble over the governor’s ‘gift’ until when the head of the Hausa Service who was on leave in Nigeria at that time returned and decided to be a whistleblower. Mr Leo Ken wrote a petition to the VOA management over the governor’s “improper payment” to his colleagues. The federal law in the United States prohibit VOA journalists from taking any money in excess of $20 in their line of duty. An investigation was subsequently launched over the “gift.” On October 2, the VOA announced that it has fired or proposed to terminate 15 staff of its Hausa language service following an investigation that found the individuals had accepted improper payments from a foreign official in West Africa. Director of VOA, Amanda Bennett, informed the American-funded radio station staff of the move in an agency-wide email. With this development, the service is left with only 11 permanent government employees and contractors to produce 16 hours of radio and 30 minutes of television every week. The African director said the agency intends to maintain its current programming schedule with the help of an extensive network of part-time contributors in Africa. The VOA announced that a former Hausa Service chief, Fred Cooper, will return to run the service until a permanent chief is selected. The terminated employees will be replaced quickly and that the new staff will receive rigorous training in journalism ethics, Mengesha said. Senior Special Assistant to Masari, Mr Labaran Sa’id, vehemently denied that his principal gave the gift that swept away the 15 staff. “As far as we are concerned, it was not Governor Masari, because none of those involved mentioned that Governor Masari gave them money, that is my position. 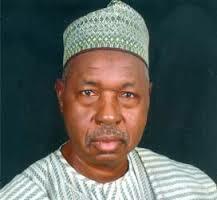 The governor’s spokesperson, however confirmed that Masari had been to the United States recently.